During the school holidays I had a little trip to Hobart for a 4 day workshop with Alsyn Midgelow-Marsden, organised by the Stitching & Beyond textile art group. Alsyn is from the UK, lives in NZ and is often in Australia to run workshops. Alsyn was also at Ballarat in April this year (where I had a fabulous workshop with Claire Benn last year) however I decided on a change of scenery, Hobart is so easy to get to from Melbourne and I love visiting the city. S&B are based in Hobart but welcome members from all over. To participate in one of their many excellent workshops you need to be a member (only $20 a year). I booked an Airbnb with a fabulous host in a beautiful old restored home in New Town, next door to the amazing Royal Tasmanian Botanic Gardens. I arrived a day early for the workshop, dropped my bags, walked along the track to the city, bought a green card from the very helpful Metro Shop and bused down to Kingston Beach to visit the fantastic store Wafu Works. I couldn’t go too crazy as my luggage was already full of paraphernalia for the workshop, however I did purchase a few little bits and pieces including some beautiful paper, a calligraphy brush, some grey boro thread, indigo fabrics and vintage indigo scraps. Thank you to Alsyn for a wonderful 4 days, I now have enough elements to make a series! Also thank you to Chris and the other S&B members for their wonderful hospitality and organisation. I had a great time and will definitely return. Sandy Webster is an accomplished artist from the US who was kind enough to fit in our workshop before returning home. Day One was cutting the first woodblock and printing, first print on the right, lots of mistakes to learn from! I will experiment a little more with this block- have added some dremel holes and will change up the colours, print individual ones as well. Day two, a little better on the printing skills, not totally happy with the carving from the original sketch-the original was more floaty and this looks rather heavy but the tools I had were not small enough for really fine detail. I will also experiment a little more with this- try with a turquoise background. Thank you Sandy for a very intensive learning experience, practice makes perfect as demonstrated by some of the more experienced printmakers in the group. And thank you to Kerrie at Studio@54, you always have wonderful hospitality and workshops. I have enjoyed a wonderful, inspirational day on the principles of biophilic design, patterns and principles at the School of Lost Arts as a part of Melbourne Design Week. The day began with the first of several very inspiring speakers, Dr Mary-Jane Walker, a biologist and artist who, along with her family, owns the magnificent ‘saved from development’ property, the School of Lost Arts. Biophilic design is a very important concept which could be the basis of, not only the wellbeing of all urbanites, but also the saving of this planet of ours. I had a crash course in biophilic ‘patterns’ with Dr Phillip Roos from Deakin Geelong Waterfront. Unfortunately I could only attend two of the sessions on offer, it was a pity to miss any of them, however the image transfer onto birch plywood was a wonderful, creative activity with designer Nicola Cerini in Mary-Jane’s beautiful garden art studio. Using Nicola’s pre-prepared designs, we could transfer these to birch plywood using two different techniques. Our GeeTAG meeting for March was a fun experimentation with gelli printing using texture and a stencil of a seadragon. I was very honoured to be asked by my Deakin University PhD supervisor, Shelley Hannigan, to participate in a group exhibition of “Art Dresses”. Originally Shelley created a series of knitted copper dresses for interior designer Beatrix Rowe for a selected designers exhibition at Como House. The dresses, with the addition of invitees, were exhibited at the Public Pedagogies Conference in November at Victoria University and then at the Beatrix Rowe Interior Design Gallery in Ormond Road, Elwood in December. The latter exhibition was very popular with passers by, I had many interesting discussions while gallerist one Sunday, and many of the items on display were sold including my art dress (very excited by this). 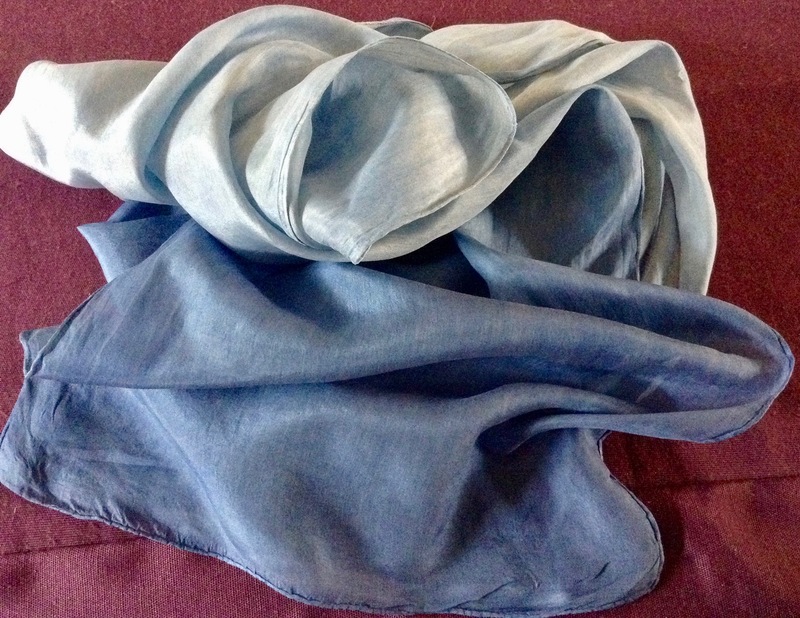 Our last meeting of our creative textiles group for 2018 is coming up in December. It was suggested we work on our own versions of 12 days of Christmas in a tin. The tin I had at home has a kombi at the beach so my version will be 12 days of beach, very appropriate as we move into summertime. I walk on the beach most days with our rough collie so have lots of inspiration to draw upon. 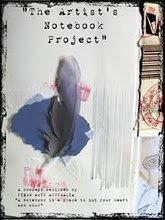 I created a concertina book and tea stained one side. (the bits of paper are the corners I cut -hoping to get a negative). And the book in the tin (not glued yet as more work is to done in the book). The opposite side shows some fun with paints, dyes and salt at the recent Geelong TAFTA textile forum. Appropriate colours for the sea and beach I think. I often collect debris as I walk on the beach – I try to take at least ‘3 for the sea’ pieces of rubbish. Yesterday there were lots of seagull feathers as well as the normal lolly wrappers, lollipop sticks, cigarette butts, micro plastics and bits of rope and string. I will incorporate these into my book with stitch and print. 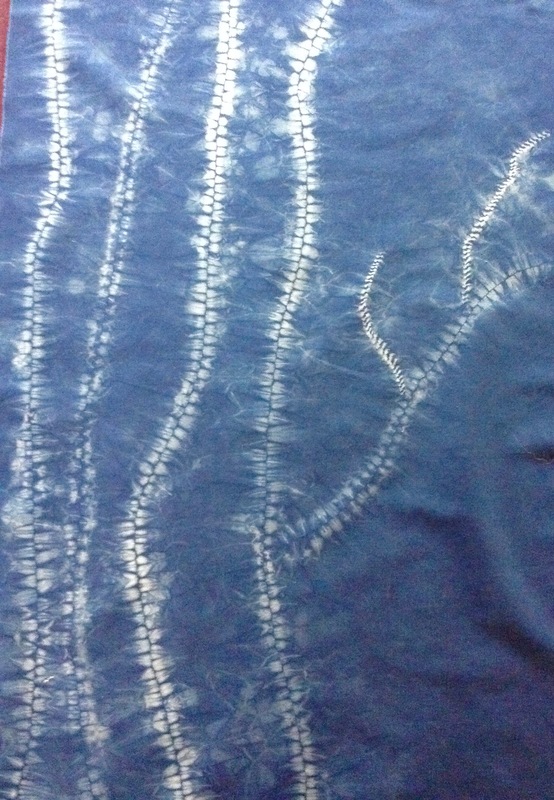 After many rinses these are my indigo dyed pieces from the weekend, what a huge learning curve! Our first day was spent making up our individual vats and preparing fabric so that it could dry overnight. On the second day we began by dyeing a gradation. My pieces had 1 dip (+soda ash dip), 1 dip indigo vat, 5 dips indigo vat, 8 dips indigo vat. It is amazing how much these lightened after all the rinses, however my ipad photos are not showing them as dark as they actually are. 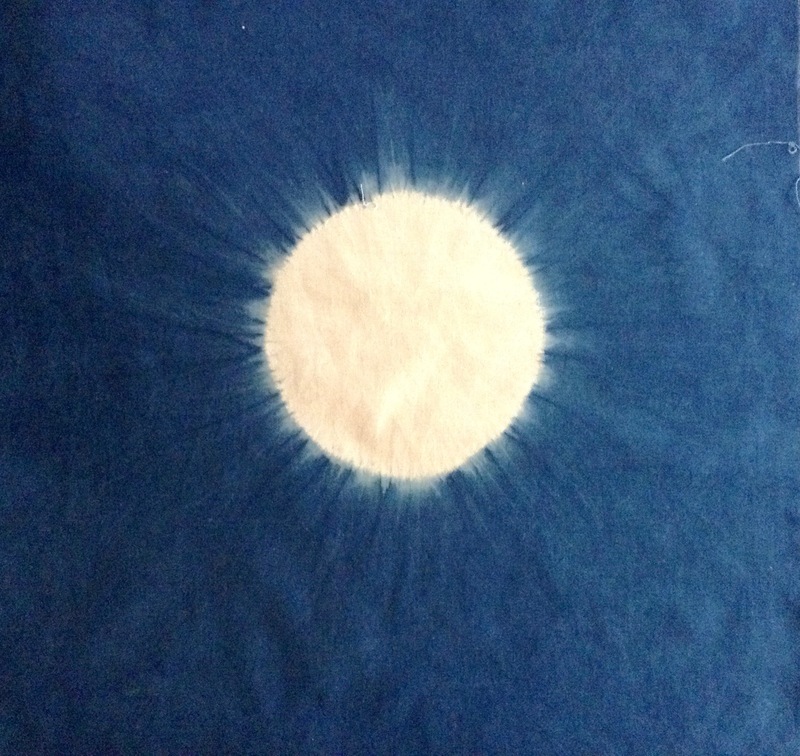 I am looking forward to the arrival of the portable heating element so I can do more indigo dyeing. Next up will be some Bengal muslin (bought to support the stitching project in India from Ballarat Fibre Forum) for a Traveller’s Blanket with Dijanne Cevaal.